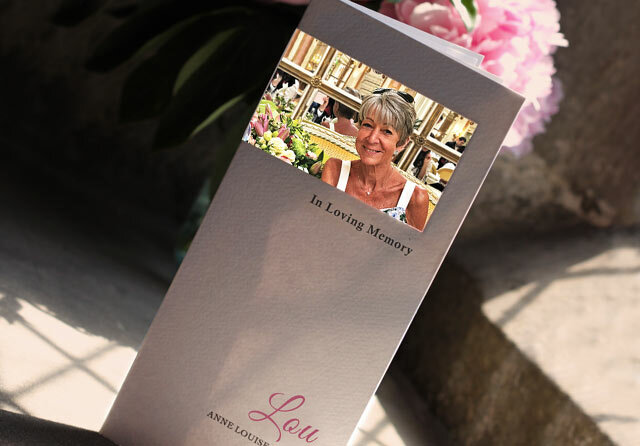 and if you are looking for a more personal approach to funeral service cards we can design them specially for you. 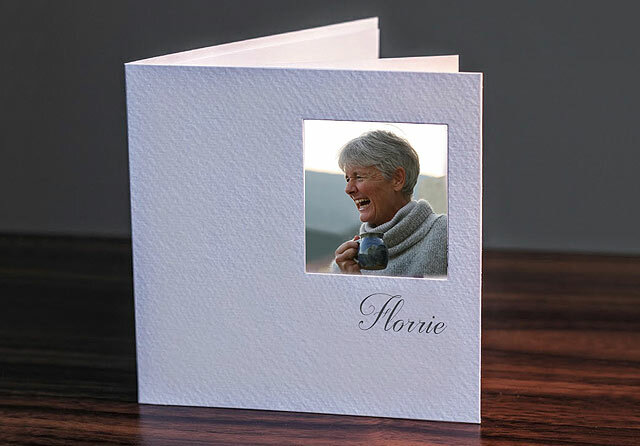 These cards are treasured by family and friends, they are taken home and cherished so its wonderful to make them just that little bit more unique. 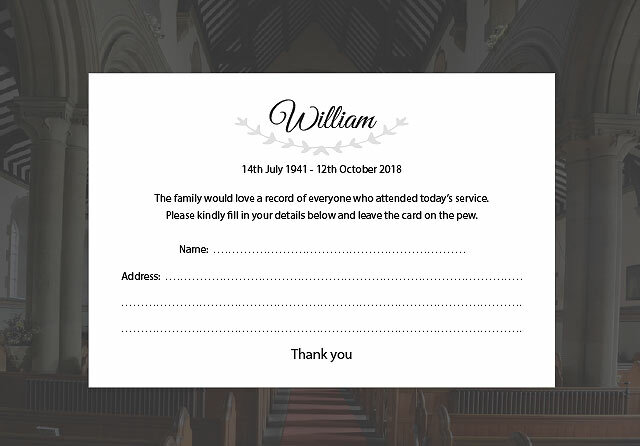 Whether the service is high church, low key religious or humanist – you provide your favourite photograph, the wording for the service and anything else you would like to include such as personal poems and details of events following the service. 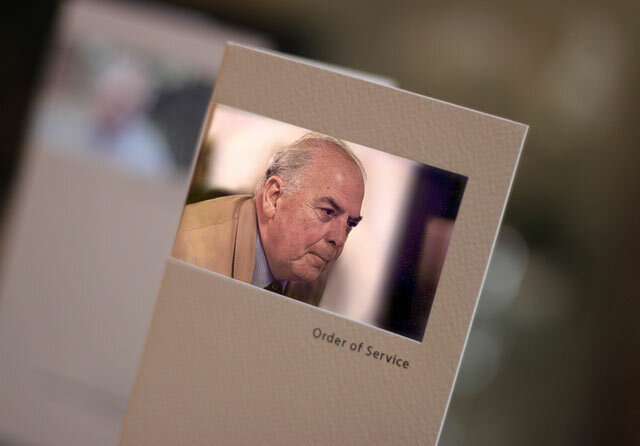 We understand that time can be of the essence but we will be led by you, preparing drafts for the undertakers / celebrants to check prior to printing and still making sure that everything is ready in time. Order online, but we are always a phone call away if you need help or advice. Or click on any of the examples below if you are looking for ideas..